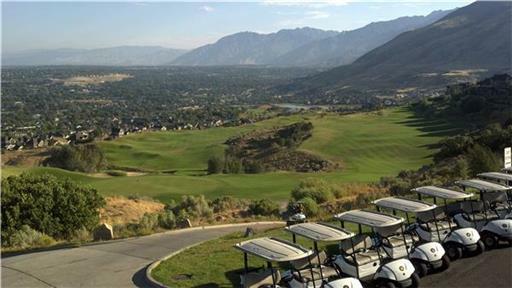 South Mountain Golf Club is a municipal golf course located in Draper, Utah. The course originally opened in 1998, it features bentgrass greens and perennial ryegrass fairways. The course consists of four Par 3's, 10 Par 4's and four Par 5's and plays to a maximum distance of 7080 yards with a course rating of 73.4 and a slope of 130 over 18 holes. 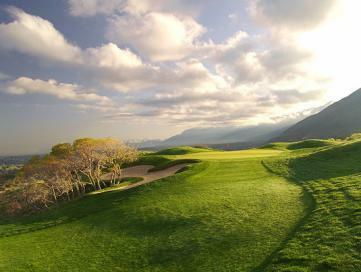 Four sets of men's tees and a single set of ladies' tees create an enjoyable test of golf for players of all abilities. Rental services are available including pull carts and golf clubs. The practice area at the facility includes separate chipping/putting greens. Food and beverage options include a full service restaurant and an on course snack bar.